Use Them To Grow Your Business, Give Value To Your Customers... And Make Money! You probably already know that if you want to have a growing, thriving business online, you're going to need great content. Many of the top marketers doing millions of dollars and multiple six figures have their own products. 1. You can do it yourself. Assuming you have a flair for writing of course. Assuming that you are good at recording videos. Assuming that you have plenty of time and you're okay with working hard. Real hard. 2. You can hire someone else to do it for you. Assuming you have the deep pockets. Assuming you're working with quality freelancers or full-time staff who are qualified for the job. That's a lot of assumptions right there. But what if you don't have a small fortune to blow away? Or you don't have huge appetite for risk? And time isn't a luxury you have right now? Well We Have A Better Solution For You. Complete With Sales Video, Reseller Materials, Graphics, And More... At More Affordable Pricing! And all you need to do? Is just get this. 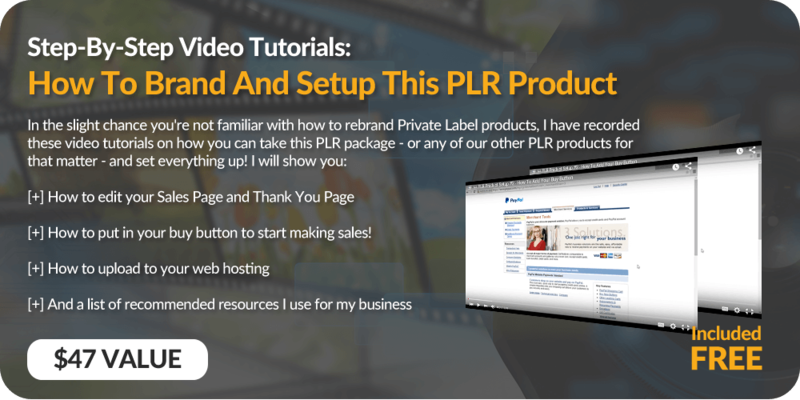 With the Private Label Rights (PLR) you save invaluable time and effort from having to do your own product creation and content research. You can take this ready-made product RIGHT NOW... and start making money! The best part is: you can secure your licensing rights today at a tiny fraction it usually costs to develop premium training materials like these. Which means, all you need to do is sell 1 or 2 copies and your cost is already covered! Every other sale you make after this is PURE PROFIT. 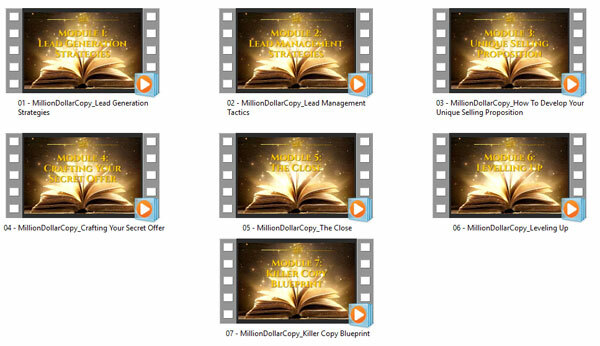 Million Dollar Copy is NOT your typical copywriting course. In fact, this training holds the missing pieces of the puzzle that most aspiring copywriters are desperately looking for: how to turn their writing skill into a highly profitable enterprise. Most copywriting courses teach how to write copy, but almost none of them talk about how to MAKE MONEY writing copy. Million Dollar Copy covers it all - from finding and attracting premium-level Clients to building a business from one of the highest paid writing professions in the world. Video #1: Lead Generation Strategies - How to start getting Clients who are looking for copy done for them. Video #2: Lead Management Tactics - most novice Copywriters aim low or try to get whoever they can, as long as they get paid. But if you want to build a highly profitable enterprise you need to look at getting a more selective group of Clients ready to pay top dollar! Video #3: How To Develop Your Unique Selling Proposition - strangely most Copywriters don't have an offer of their own, or it's just 'pay me and I'll write for you'. This video shows you how to position yourself DIFFERENTLY from the rest of the 'me too Copywriters'. 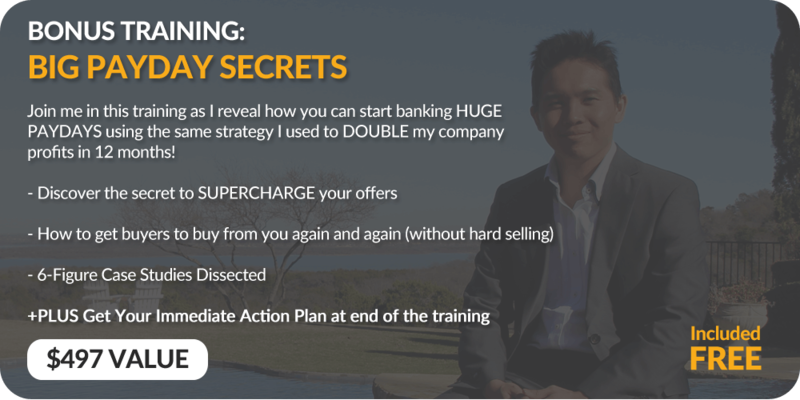 Video #4: Crafting Your Secret Offer - how you go beyond an over-simplistic approach and garner stellar results so you can build a star-studded Clientele! Video #5: The Close - Plus learn how to negotiate for royalty / commission. Get paid over and over for work done once! Video #7: Killer Copy Blueprint - To round it up, a crash course on how to write killer copy is included to make the entire training holistic! 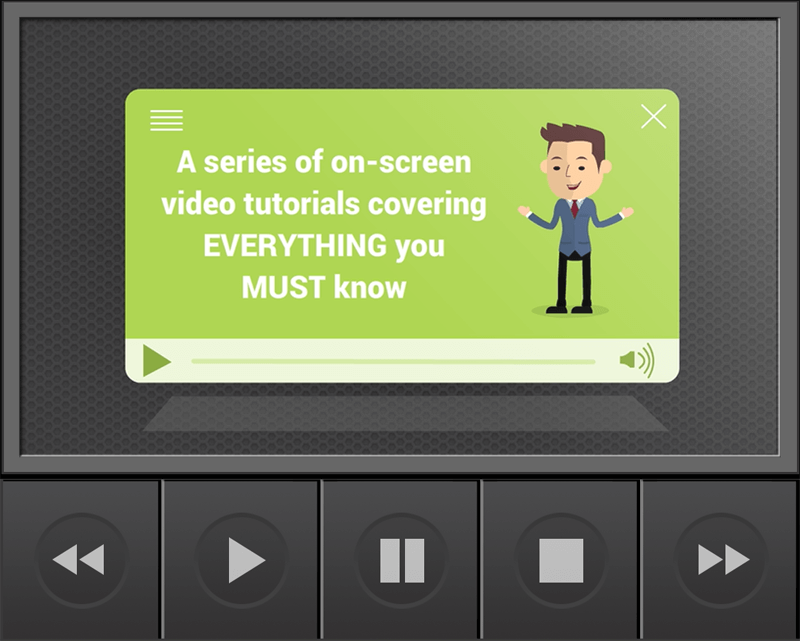 These Are Training Videos Your Customers Need And Want! We're also including our original transcript to every video we've recorded. So if for any reason, you prefer to do your own voice overs for these videos - you have a transcript you can just read and record! You can include this as part of the product you are selling, add introduction and ending music, or do audio streaming on your website. The audio is professionally done by our trusted American voice over artist! It's only apt that you also get the sales video and sales page together with this amazing product. Put your name and order link, slap it up on your website and you can start selling right away! Plus unlike typical Resale Rights we won’t hold you back on how and what you want to present your offer. You can use the business-in-a-box as it is, although we feel you should take full advantage of the editing rights you get to this entire package. 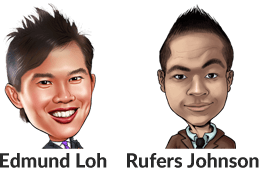 For this, you get the editable rights to the 2D and 3D E-Covers and Website graphics! 5X banners are also included in this set. You can edit the PSD files in Adobe Photoshop or alternatively GIMP (a free software available to download online) – add your name and URL, change the title, change the colors… it’s totally your choice! Unique to this training course, you also get the Business Proposal Templates and Sales Closing Scripts in Word and PDF Format. These are arranged by default as extra value Bonuses for your Customers! You can sell the products, individually or in a package at any price you wish! The profit potential is yours to decide and remember... you keep 100% of the profits! You can add the product into your paid membership site for your members to enjoy and increase the perceived value of your membership content! You can offer the (Master) Resell Rights - together or separately - to the product and sell at a higher price! Here you have it all already done for you for a tiny fraction and ready to go NOW. That means skipping all the hassles, hurdles and frustrations that normally come with creating a product. This is as no-brainer as it gets. Be in business today (not weeks or months from now) and start making bank with a quality product you can proudly and confidently call your own. To protect the value of this course, the Private Label Rights is NON-TRANSFERABLE i.e. you cannot pass on the editing rights to your Customers. If you obtained the PLR to this course from anywhere else besides this website, you got an illegal copy. More explained in our PDF License - if you're unsure, ask us. Copyright © Musemancer SDN. BHD. All rights reserved. We stand behind our PLRXtreme products with a 30 day full satisfaction guarantee. We are confident you will love this. If this Private Label Rights package isn't every bit as fantastic as we say it is, write to our support helpdesk, let us know why and we will return your purchase in full. The bonuses are yours to keep.